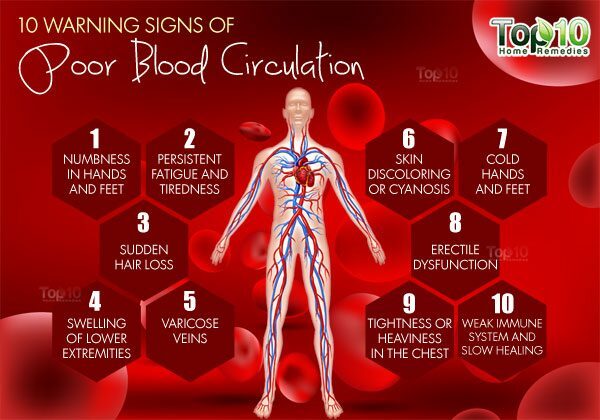 Good blood circulation is essential for good health. Your blood helps transport nutrients and oxygen to every part of your body. Any problem with your circulatory system can lead to a variety of other health issues. 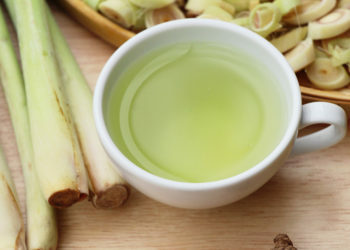 If left untreated, it can cause serious damage to your brain, heart, liver, kidneys and limbs. You can have poor blood circulation for several reasons, with the most common being atherosclerosis, or “hardening of the arteries”, and peripheral artery disease (PAD). It can also be a result of other health problems like diabetes, heart disease, obesity or blood clots. Smoking, excess drinking, pregnancy and eating disorders can also make you more vulnerable to this condition. By knowing the symptoms of poor circulation, you can target the root cause and get it treated timely. It is important to consult a doctor when experiencing symptoms of circulation problems, as it can lead to a heart attack, a stroke and even death. Here are the top 10 warning signs of poor blood circulation. Mild cases of swelling in your feet can be due to sitting or standing in one position for long periods of time, high salt intake, malnutrition, obesity, aging, a sedentary lifestyle, premenstrual syndrome (PMS) and pregnancy. However, if you suffer from edema or swelling in your feet for quite some time, it may be because of poor blood circulation. Due to a lack of blood flow, the kidneys become unable to carry out the process of keeping fluid in the blood vessels where it belongs. This causes the fluid to leech out and settle into surrounding tissues, which leads to swelling. In extreme cases, poor circulation can also cause leg ulcers. When you notice any form of swelling in your feet, raise your legs above your heart level. The swelling will subside once the circulation improves. Consult your doctor if you have persistent or extreme swelling. Feeling numb in certain body parts, especially in the extremities (hands and feet) can also be a sign of poor blood circulation. You can also have numbness due to constant pressure on your hands or feet, exposure to cold, temporary nerve compression, a sedentary lifestyle and a nutritional deficiency of vitamin B12 or magnesium. It can also be a symptom of carpal tunnel syndrome, diabetes, multiple sclerosis and an underactive thyroid. Proper blood flow helps maintain a healthy body temperature. When blood flow is interrupted, the body cannot maintain its normal temperature, resulting in cold hands and feet. Due to poor circulation, blood is not able to travel easily to the furthest parts of your body, such as your fingers and toes. Reduced oxygen levels in the body’s cells can lead to cold extremities. Rubbing the affected area is a natural response to encourage blood to flow more quickly to those areas. Other common causes of cold hands and feet are an underactive thyroid, Raynaud’s syndrome and peripheral neuropathy. If you have cold extremities without any known reason, consult your doctor to find out the exact cause. Fatigue is a common side effect of physical exertion and many medications. However, a constant feeling of fatigue and tiredness may also indicate inadequate blood supply to different body parts. This causes organs to struggle to carry out their normal duties. It even affects the muscles, as they are not getting enough oxygen and nutrients. Along with fatigue and tiredness, some people may even suffer from breathlessness, lack of stamina and sore muscles. Other causes of fatigue include excessive alcohol use, excessive intake of caffeine, inactivity, poor sleep, unhealthy eating habits, anxiety, depression, grief and stress. A weak circulatory system will have a direct impact on your immune system. Due to poor circulation, the vitamins and minerals that your body needs to fight off infection are not distributed timely and in adequate amounts. This affects your body’s ability to detect and fight off pathogens. With a weakened immune system, you may get sick more often and cuts, wounds and grazes may take longer to heal. To improve blood circulation and boost your immunity, include exercise in your daily routine. As little as 20 minutes of walking five days a week can improve blood flow throughout your body. Varicose veins that appear in the legs can be a symptom as well as cause of poor circulation. Due to improper blood flow, pressure builds and causes the veins located just under the skin’s surface to become swollen, twisted and very visible. Varicose veins tend to appear on the lower legs and cause pain, itchiness, restlessness, burning sensations and heaviness in the legs. The appearance of bulging veins is also a beauty concern for many people. Other common factors contributing to varicose veins are heredity, obesity, constipation, hormonal changes in the body, use of birth control pills and even occupations that require a lot of standing. If you have varicose veins, it is essential to wear compression stockings to enhance proper blood flow. Also, consult your doctor to determine the exact cause and treatment. Hair loss without any known reason is a clear sign that blood is not getting distributed properly around your body. When the scalp does not receive essential nutrients in the proper amounts, hair becomes thin, dry and starts falling out at a rapid speed. Hair experts recommend massaging the scalp with appropriate hair oil to treat hair loss. Massage helps increase blood flow to the hair follicles. It’s important to also consult your doctor to determine if additional treatment is needed for poor circulation. Bad circulation also causes dry skin and brittle nails due to lack of nutrients. 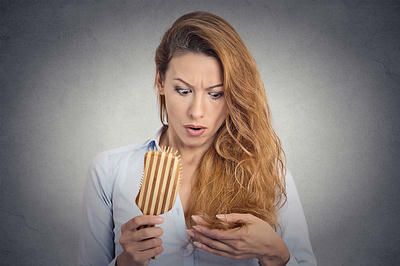 Other factors behind hair loss include aging, stress, excessive smoking, nutritional deficiencies, hormonal imbalance, genetic factors, scalp infections, thyroid disorder, iron-deficiency anemia and chronic illnesses. In men, poor blood circulation leading to reduce blood flow in the reproductive organs may also cause contribute to erectile dysfunction. This problem is characterized by consistent problems in achieving or sustaining an erection. ED is often associated with atherosclerosis. Hence, it is suggested that men suffering from this problem should see their doctor to be evaluated for cardiovascular disease. If your skin or lips turn blue, it clearly indicates low blood oxygen levels or poor circulation. This problem is also known as cyanosis. A low oxygen level in your blood causes the color to change from bright red to darker. This makes the skin around the eyes, gums and lips look blue. Even your fingers and toes will have a slightly bruised look. Sudden discoloration of the skin in babies can also be the first sign of congenital heart disease, so it’s important to seek medical advice immediately. Your heart is responsible for pumping blood around your body, but to function properly the heart also needs adequate blood flow. Low circulation in the arteries to your heart causes tightness and heaviness in the chest. The heavy feeling will come and go randomly. Medically, this problem is known as angina pectoris, or simply angina. Chest pain may also be a sign of atherosclerosis in these arteries. 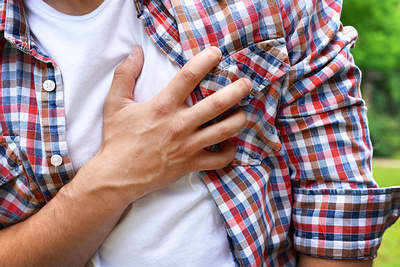 However, chest pain can also be a symptom of a muscle spasm, heartburn, acidity, an upper respiratory infection, a stomach ulcer, and indigestion. If you have chest pain, consult your doctor right away to prevent a potentially life-threatening medical problem. Make physical exercise a part of your daily routine. Stress can also affect circulation, so take necessary steps to handle stress. Add a few drops of rosemary essential oil to ½ cup of warm olive oil and use it to massage your body, especially the extremities. Try constrast hydrotherapy (alternate hot and cold treatment) to promote proper circulation. Poor posture can contribute to poor circulation. Be sure to keep your spine straight while sitting or walking. Avoid coffee and switch to green tea for general well-being. Don’t overdo your alcohol consumption. Quit smoking and avoid exposure to secondhand smoke. Add nuts, seeds, cayenne pepper or black pepper, garlic, onion and ginger in your diet to stimulate your circulatory system. Always invest in a good pair of shoes that do not hamper proper circulation in your legs. Very informative,especially if one has these symptoms and was not aware.These points will request the reader to visit a doctor. Compression stockings to treat varicose veins are contraindicated in those with significant arterial disease. Very useful & educative information..Thanks a lot. Most useful information, Thank a lot. Been getting numbness in feet am taking vitamins etc when moving around it’s better but in the morning feet are tight and feel tender underneath so is it best to excercise when getting up?? ?